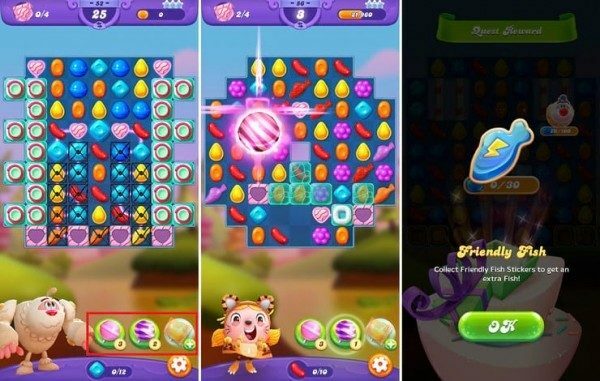 King is back with a new game in his popular series Candy Crush: Candy Crush Friends Saga. The game is available for iOS and Android, and integrating with Facebook allows you to save your progress on multiple devices. This means you can start playing on your iPad and then continue playing on the same account with an Android, or vice versa. 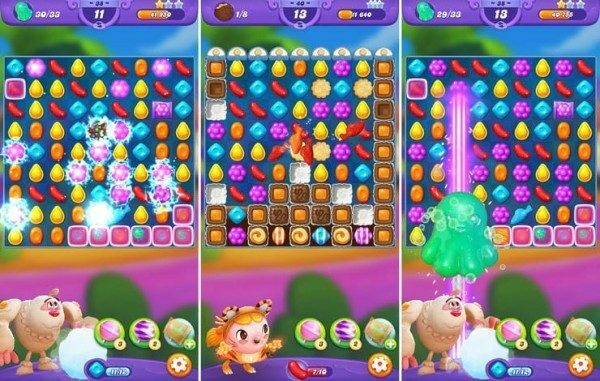 The mechanics of matching and candy exchange remain intact, but the new game also introduces updated graphics as well as new game modes and integrates the characters in the series. Franchise veterans should have no problem understanding the new style of play, but there have been enough changes for new and experienced players to need a little help in getting started. 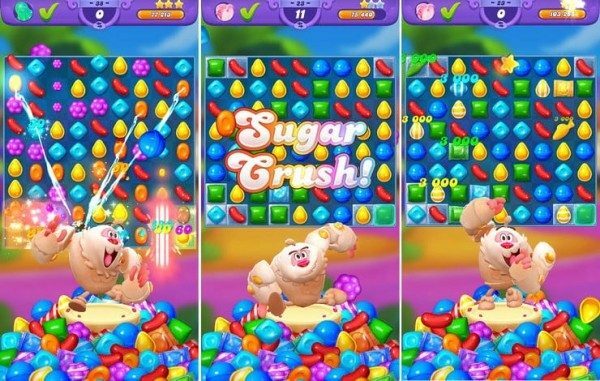 Here are our tips to help you understand the basics and become a professional Candy Crush Friends Saga. Generally, it is best to delete frames from the bottom of the screen. This ensures that your games have the greatest impact on the game board, moving other sweets to new positions and bringing important elements, such as cookies, down. Of course, in some game modes, you\’ll have to combine candy at the top of the screen, but that\’s still good practice. You will probably notice that when the moves become more limited, most of the moves you can make are closer to the top. Stay away from the game at the top unless you are required to do so. This is an especially good strategy when you have obstacles blocking your path. As these obstacles usually gather at the bottom of the screen, attacking them directly, even with simple matches, is much more effective than blowing up a queue at the top of the screen. You will come across many obstacles throughout the game, and it is always a good idea to eliminate them first. This means that when several obstacles are preventing you from making plays on certain parts of the board, it is imperative that you eliminate them first of all. You will not want to use your movements when you are locked elsewhere. This is especially true when you need to drop elements at the bottom of the screen. Eliminating the obstacles will leave you much closer to victory in the match. 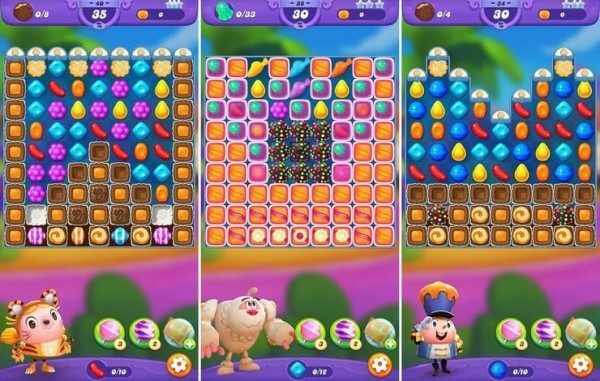 The Candy Crush Saga series is full of colorful characters and, in Friends Saga, they take on more active roles in their mission. You\’ll take Tiffi, Mr. Yeti, Odus or another character with you as you level up, and your specific skills will change the way you play. So it\’s important to understand what each character offers you, what your favorite candy color is, and how best to use your powers to win each level. For example, if you decide to use Tiffi, you can add jellyfish to the game board by combining red candy. Mr. Yeti prefers light blue candies and can create sweets wrapped for you. Some also offer advantages to specific levels thanks to their abilities: For example, Nutcracker can break down obstacles when you combine blue candy, so it can be especially useful at Dunk the Cookie levels. 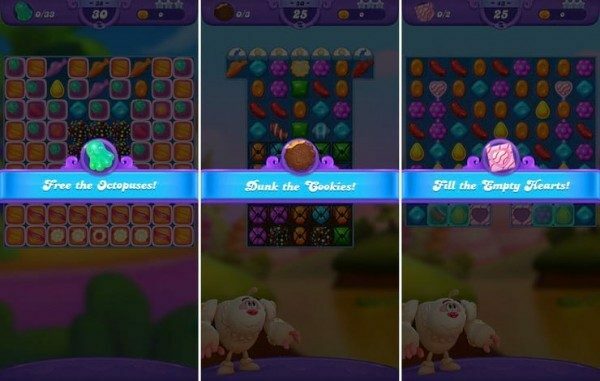 Everyone who played Candy Crush knows about the special treats you can create through the combination, but it\’s important to remember how to create each one so you know what to expect in the heat of the moment. 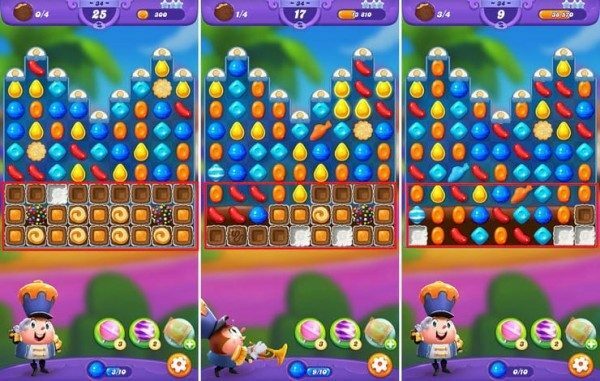 For example, combining four candies in a row creates a candy-striped in the direction of your last move. You can make a wrapped candy by combining candy in a T or L formation. By combining four candies in a square, create a jellyfish, and five candies in a row, create a colorful pump. Special sweets can be even more powerful together. Putting a special candy in the way of another causes a lot of damage, but when you combine them, things get really crazy. And it\’s much easier to combine special candies, because you just need to leave them side by side, regardless of their color. For example, if you combine a fish with a striped candy, you create a fish that triggers the effects of a candy-striped. Combining a striped candy with a candy wrap causes the stripe effect to hit multiple lines at once. There are many different combinations of special sweets. So when you have multiple combinations available, determine which one will be most effective for the moment. We all like to think that if we make as many special candies as possible, victory will be guaranteed, but that is not always the case. 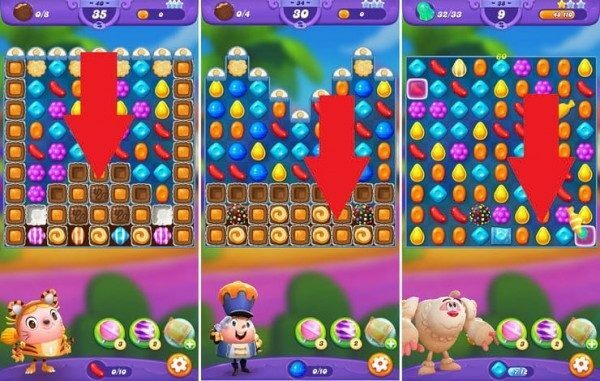 In Candy Crush Friends Saga, sometimes you have to ignore these tempting combinations in favor of a simple game that will really be victorious. The game includes modes that require freeing the animals trapped behind the icing and jelly-bound powders; you will also have to bury chocolate chip cookies. Each game mode requires a different strategy and has a unique trap that can hurt you if you are not paying attention. When you need to free an animal, pay attention to which areas have trapped animals and focus on them. Sometimes it can be difficult, but you do not want to waste movements if you do not have to. Meanwhile, making cookies and filling living standards requires you to eliminate only what is directly below the item, so do not worry about anything that does not affect them. When you are playing Candy Crush Friends Saga, you can win and collect special lollipops to use during the game. They can be useful when you get stuck. Try to hold them until you are sure they will make the difference between winning and losing. The last thing you want is to use one or two lollipops and end up losing. And sometimes, it\’s okay to lose a life to keep your lollipops for a more needed occasion. If you\’re addicted to Candy Crush Friends Saga, maybe you can get a little perfectionist. If you have special candies, it\’s tempting to turn them on, but wait. Remember the importance of Sugar Crush. At the end of each level you will receive a bonus based on how many moves you have and how many special treats will remain on the game board. It\’s a good idea to finish the game with as few moves as possible, and leave lots of special treats for that moment. You\’ll still receive credit for their creation, and the Candy Crush bonus can help you move from one star to three. Just focus on accomplishing your goal: The game will give you credit where it is due.